I agree, sort of. I don’t really see the value in long haul redemption even with a 241 now. The only places you can be relatively sure you can get to across a range of dates are the west coast and Saudi. The west coast costs £1,337 in taxes, plus £190 for the 241. The value of the avios is maybe another £500 at least, assuming you can generate them. So a hard way to get a £1k ticket to new York with BA. And if you are in CW, you still need to be silver or pay for seat reservation. Cheap cash fares are the way forward for me, but avios will still be awesome for RFS. The game changes, it doesn’t die. I’m not bitter though. People churning Amex signups, allied to interchange capping was always going to kill it. And I can’t really complain about BA either-I have no right to fly at the front of the plane for pennies. I have no loyalty to them (indeed given the choice I used to avoid them where possible), so even though I do think their surcharge is a scandal we were never supposed to be friends anyway. Despite what others are saying, I CAN still get a cross referral working easily using safari in my iPad (haven’t tried others). Damn, very annoying about drop in referral bonus on Plat – been holding off to let credit score recover before doing any new self-referrals! Is the Green to plat upgrade for 20k still available? any idea how long you have to hold green before upgrading? Really not sure sorry – that one might be anyone’s guest. a month? Quick data point as I thought I saw a question earlier but can’t find it again now. Appears bonus for adding first supplementary card is still working ok, I added a first supp to my brand new (< 1 week old) Plat this morning and 5k MR already showing. Now to see if the 20k for upgrading from Green is as effective! Your council took Amex to pay your Council Tax bill???? Which council was that exactly? Can’t think of many that would apart from Kensington & Chelsea or Westminster. Kensington & Chelsea accept Mastercard and Visa. They now openly take it, they used to deny they took credit cards (only debit) but the system always accepted credit cards. Does green to plat bonus apply if someone has held a plat in the last 2 years? You all might want to check your credit limits. I’ve had about 5% shaved off mine but a friend reports his being slashed by 60%! I think it was very necessary for Amex to stop paying the introductory bonuses for those who constantly churned their various different cards but I can’t see why they are both halving the introductory bonus and increasing by 50% the spend required on Preferred Rewards Gold for genuine new direct Amex cardholders. This includes myself as someone who’s Lloyds Rewards Amex must be disappearing in the next few months (still no letter notifying me of this and the card is valid until the end of August this year) and who has to decide between either going for the Preferred Rewards Gold card or the BAPP card. I also wonder if Rob is now beginning to wish he had sold HfP on to a larger player in the money products field for a sizeable sum before The Fat Lady started to sing on the world of Amex introductory card bonuses…………. It could have the opposite effect. With lazy points and miles such as amex becoming increasingly difficult to come by, page views might increase as people become more proactive in their search for miles and points. There’s always something new around the corner such as IB 90k last year abd Tesco mobile so far this year. On top of that there is also the opportunity to shift emphasis further towards deals and offers from miles and points. Plenty of life left in HFP and other blogs. I’m not sure airlines will be just failing over themselves to repeat the ‘success’ of last years 90k Iberia giveaway. What may well happen is that people used to dining on wagu will end up so hungry they’ll view a passing rat as a good meal. Amex isn’t that fat that we all need to run tippy toe around her. BJ’s got it right (as usual). Rob has never encouraged churning (or at least I don’t recall him doing so in the 2 years since I found out this site). His readers have (myself included). MSE is the site with an article detailing churning. I guess the couple from that story needs a new strategy for their annual Christmas trip to Hawaii…. Nonsense. Also Julian is on to something – you guys need to stop drinking the Kool Aid. I could have sworn that Rob has published endless articles telling us how you can cancel your Amex card just as soon as you have achieved the spend to earn the signup bonus and then request a Pro Rata refund and then apply for another different Amex card that you can earn the signup bonus on. He has even actively directed us towards relatively obscure hotel group issued Amex cards as part of that overall strategy of cycling Amex cards and even with the new tougher rules has suggested how we can still continue to cycle Amex cards and earn initial signup bonuses but on a less frequent basis. 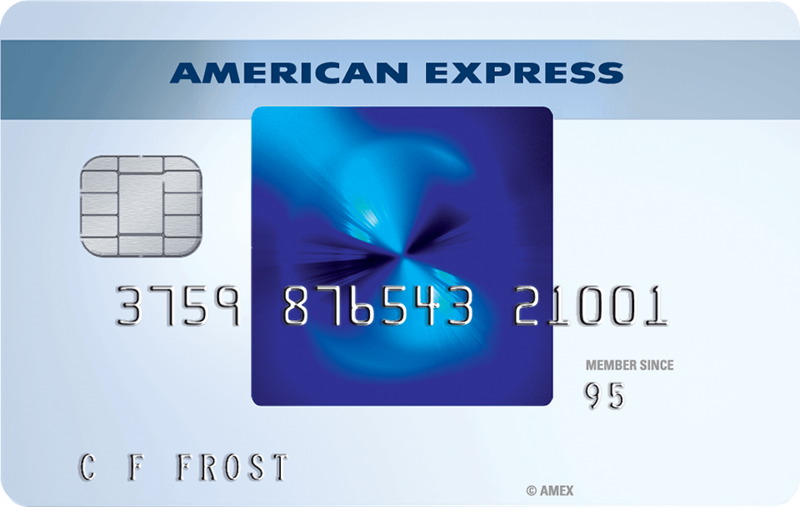 Personally I think Amex would be quite within their rights to reclaim the membership rewards signup bonus from any customer who does not complete at least the first card year with them as clearly the signup bonus is intended to bring in a new customer for at least one year and no doubt ideally five or ten years. Customers who churn earlier are clearly not profit making for the business and are effectively compromising Amex’s ability to pay a better membership rewards rate (eg 1.5 points per pound rather than only 1 point) to long term loyal customers. No we haven’t. We mention the pro-rata refund as a feature in our main card reviews but that is it. There is literally one article a year, comparing the most generous sign-up bonuses, where we do the maths based on you cancelling after 3 months. That is 1 article out of 1,100. You confuse what is in the comments (and, admittedly, written by me in the comments) compared to what is in the articles. It’s frustrating when the changes affect your own personal goals, isn’t it Julian. I’m amazed AMEX didn’t consult Jules before making this decision, surely an oversight on their part? You’re like a bunch of school girls. What on earth are you going to do when the emperor is showing to have no clothes! Amex has no love for the UK, there isn’t any exciting news coming (apart form a price hike on the annual fee); just a naff looking sparkly card, patchy acceptance (despite being in the UK for nearly 60 years) and mediocre insurance. Enjoy your points while they’re still worth something! Oh dear. I put around 12-15k a year through my cards so not a great deal. This combined with the end of card churning has probably killed this as a hobby for me. I have around 100k Avios and a voucher to spend and after that I think I am probably done. I hope there isn’t too much of an effect on visitors to HFP but I suspect there will be. Sorry Rob. Cant blame AMEX for all these changes really, their hand has been forced by the EU! Booooo! At that level of spendn the IHG premium card could be a good fit for you with the free night being worth £hundreds if used wisely. Thanks BJ I shall take a look, it would just been a plain old cashback card if not. zig you go with the cashback card stick with amex to take advantage of offers. Not being contended they tend to get loaded with most offers going. Or, have one of each and push most spend through IHG With nominal amounts through amex which you can keep largely for the offers. FFS the EU wide changes were UK government driven. Get educated. We don’t need that language on here. Also, the UK may have forced the EU’s hand, but it is still EU regulation. Not quite. 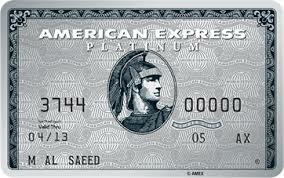 They tried to keep Amex out of it but didn’t manage, mainly due to some bad law drafting. Sort of on-topic: I’ve been interested in the Green Card recently as I’m about to buy (get a mortgage) on my first house and need to refurbish it from the ground, and feel the one-year extended warranty will come in handy (neither Gold, nor Plat, have this). Has anyone got any experience in claiming on it? IF you qualify, the extended warranty on the standard HSBC Premier credit card is far better. Includes accidental damage as well. This comes as no surprise to anyone. No sooner had the 6 month period been extended than the greedy vultures were busy circling here discussing how to abuse their new referral churning strategies to the maximum extent and ruining it for everyone else. but at least it’ll remove them from the game and make more seats for those who actually fly to earn points. Can’t help laugh at your username – specially chosen for this post? It was there for the taking – if there’s grass on the pitch play ball. @Michael Except now the field is a muddy mess due to abuse, and the balls gone flat. @BJ i’m stopping in the bar where it’s warm from now on. Not turning out to watch 5 a side. Probablly the same crowd, stuffing their faces with as much free food as humanly possible as it’s there for the taking. You don’t work hard to fly J/F just to tell you friends. @Andy – and then waddling back to the buffet with said plate to churn as quickly as possible. Getting the amex cards most useful to me and hanging on to them. And I used to be a serial churners. If I hold up two sweets in the air, one in each hand, and say come get them…and on one side there is one tall kid amongst the shorter ones who alone can reach it on his own feet…and on the other side they are all short but one has the guile to stand on a chair and take the sweet…what is the harm? Nothing, until you get so swarmed with greedy short kids that you have to take the sweets away from everyone. Does anyone know if the annual cap on referral points for the Gold and Plat cards is 90,000 points per card or 90,000 per cardmember? 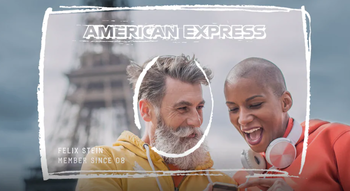 HSBC Premier World Elite is now head and shoulders above all Amex except for Platinum (and even that may be debatable considering the massively higher fee). It was previously a toss up between Gold and World Elite in my opinion. But is it worth the faf (transfering savings, opening current accounts) over the IHG premier when there seems to be fewer redemptions (“taxes”) to pay on hotel stays when using the points? I think Rob was warning a year ago that BA were intending to devalue and more recently that it was signed off awaiting an IT upgrade.Why desperately earn Avios when they’re going to be worth less fairly soon? The IHG scheme, having devalued in January, is probably a little more predictable for at least the next year. With HSBC at least there is some flexibility with the airline partners. I have IHG Premier (and ambassador) but with IHG you are also locking yourself into one partner (a hotel one rather than an airline) Occasionally I like staying at the Conrad or the Marriott luxury properties like the Gritti palace. Not to mention a 4 digit PIN for security is poor. . Very possible Avios only gets tweaked on the earning side and not the redeeming side. As the redeeming side is already being tweaked by increasing the fees for redemptions that makes sense. Yep, we see that the current strategy is to hike redemption fees rather than changing the award charts. Points-rich US consumers were targeted with that — BA surcharges on First and CW out of the US. UK-side, after the past devaluation, the peak award levels became less attainable. There was an increase of 50% in Avios required two years ago. But BA did not foresee that earning miles from credit card (and Tesco route) will dry up — as it is going. Big difference between US Chase British Airways VISA awarding x3 on BA/Iberia/Air Lingus spending (95USD fee, no FX fee) and the UK BAPP (195GBP fee, FX spending) which is going away with contract anyway. The question remains: where does UK consumer accumulate into 100,000 of Avios for long-haul. Can’t find if we have car hire cover on the hsbc WE. It would then be better than plat for us. But no guests allowed on the lounge entry tho. How long do the hotel statuses that come with Amex Platinum last? Eg if a Plat card is taken out now, will the Hilton Gold last until the end of this year, or next year, if the card is cancelled in about 3 months? i believe they last until they run out naturally. Refer to the T&Cs of the hotel programs. Each hotel scheme has a different annual day when it resets your status.